You are currently browsing the tag archive for the ‘Bernard Cribbins’ tag. 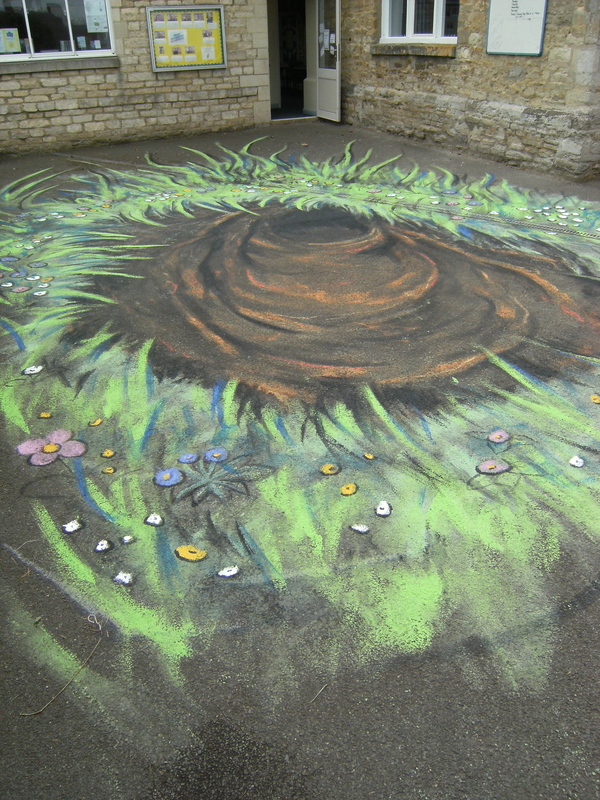 To accompany the ‘Alice in Wonderland’ themed day I painted a large Rabbit Hole in the school playground, which greeted the children when they arrived at school that morning. 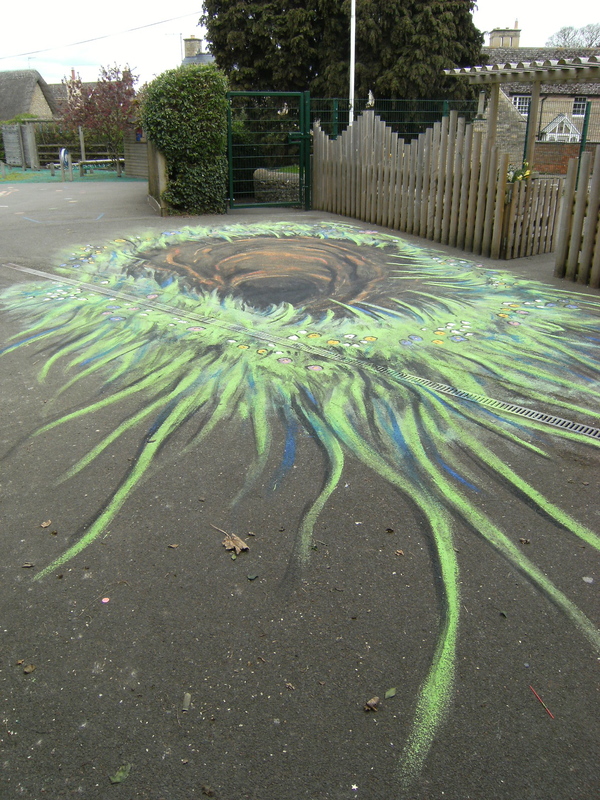 Measuring approximately 36′ x 19′ it stretches from the school gate to the playground door as an anamorphic distortion, and my plan was that it would still work even if viewed from the opposite direction. Well, it almost does! There was nothing so very remarkable in that; nor did Alice think it so very much out of the way to hear the rabbit say to itself, “Oh dear! Oh dear! I shall be too late!” (when she thought it over afterwards, it occurred to her that she ought to have wondered at this, but at the time it all seemed quite natural); but when the Rabbit actually took a watch out of its waistcoat-pocket, and looked at it, and then hurried on, Alice started to her feet, for it flashed across her mind that she had never before seen a rabbit with either a waistcoat-pocket, or a watch to take out of it, and burning with curiosity, she ran across the field after it, and was just in time to see it pop down a large rabbit-hole under the hedge. The rabbit-hole went straight on like a tunnel for some way, and then dipped suddenly down, so suddenly that Alice had not a moment to think about stopping herself falling down what seemed to be a very deep well……………………….